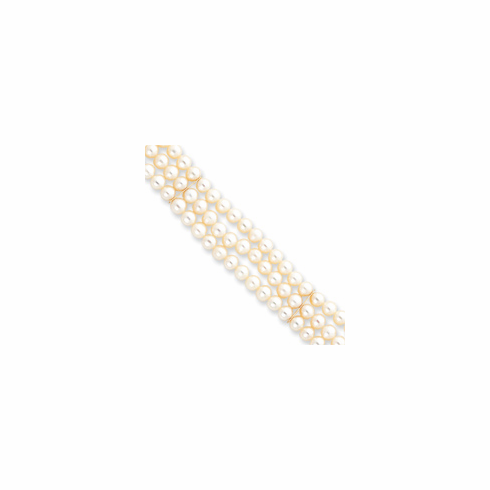 Wrap your wrist with a truly elegant luster. This bracelet is similar to the 3 strand pearl bracelet that was featured with "Days of our Lives" star Arianne Zuker. It has 6.0-6.5mm cultured freshwater pearls strung on three individually knotted strands. There are polished 14K gold accent bars stationed throughout the bracelet and a 14k gold box clasp.